For the sports fan in you, we offer The Game. Scores, stats and the games you have to see are served up larger than life on wall-to-wall televisions. Icy cold drinks, classic and gourmet burgers, mouth-watering wings, waffle fries, and nachos piled high complete the fantasy fan experience. 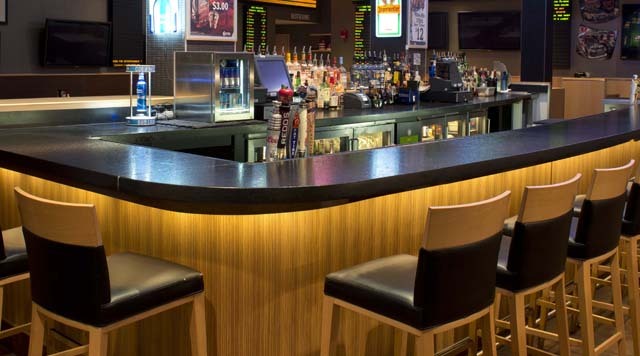 The Game offers the best craft beer selection around with more handles to pull and 34 beers on tap! Game day will never be the same! And now you can get an jump start to your game day Monday through Friday with The Game's hearty breakfast menu. You must be 21 years of age or older to enter The Game. There is a $5.00 split plate charge for entrees served at The Game. You must be 21 years of age or older to enter The Game. There is a $5.00 split plate charge for sandwiches and entrees served at The Game. Location: Main Floor Pavilion, next to It's Vegas Baby!